The government shutdown ended October 17 due to the House's last-minute budget deal to extend the debt-ceiling deadline. Had a deal not been struck, the government risked defaulting on loan payments and causing shock waves in global markets. Overcoming the differences over policies in "ObamaCare," also known as the Affordable Care Act, a deal was struck which resumes government funding until January 15, and extends the debt ceiling until February 7, 2014. This means that House talks may be necessary to avoid repeat scenarios. Government sponsored loan programs such as Federal Housing Administration (FHA) and Veteran's Affairs (VA) loans didn't see much interruption to processes during the shutdown, however rural-property USDA and flood zone FEMA loans were halted entirely. 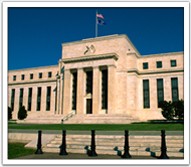 In its recent meetings of the Federal Open Market Committee, the Fed decided not to taper its bond purchases due to recent economic reports that were worse than expected. Tapering would begin only if the economy shows more robust signs of recovery. Fed Chairman Ben Bernanke stated that tapering could "possibly" come later this year but that depends on the nation's post-shutdown economic health prior to February 7, and what Bernanke's likely successor, the Fed Chairman nominee Janet Yellen, wants to do. Due to the government shutdown, September's employment report was delayed several weeks. When the report was finally released, it showed that 148,000 new jobs were created in September, below the 183,000 expected. For July and August, the numbers were revised higher by a total of 9,000 jobs. The Labor Force Participation Rate, a measure of how many people are looking for work, was unchanged at 63.2 percent after falling in August to a 35-year low. Finally, the housing market continues to improve despite the recent rise in home loan rates. Existing Home Prices were up by 14.7 percent annually in August. This marks the eighteenth consecutive month of year-over-year price gains. Software and apps you can install on your computer or smart phone can help you save money on calls. You've likely heard that ditching your landline is a good money-saving move. But if you're relying on your mobile phone to make all your calls, you might have to pay more to get unlimited minutes. So to keep costs down, consider using a free Internet calling service. There are several you can download to your computer, smart phone or tablet. These services also are ideal for people who make international calls and for college students who want to keep in touch with friends and families. Because they're free, you can try out all of the services below to see which works best for you. Skype. 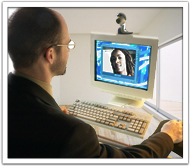 To use Skype, you need an Internet connection and a computer or mobile device with a microphone and speakers. It only takes a few minutes to install it and create an account with a username that will serve as your contact information (rather than a phone number). Then you can make free voice and video calls (if you have a webcam) to other Skype users. You also can use Skype for instant messaging and file sharing. Viber. Unlike Skype, Viber doesn't require you to create an account with a username. Instead, it uses your mobile phone number. So you must first install it on your smart phone. Then you can install it on your computer if you want. In addition to free voice and video calls, Viber offers free text and photo messaging and location sharing with other Viber users. Just make sure you use a Wi-Fi connection rather than 3G so you don't use your phone's data. Vonage Mobile. This relatively new Android and iPhone app lets users make free voice and video calls and send free text messages to others with the app. You also can use it to make free calls to Vonage home phone customers. Like Viber, it uses your mobile phone number as your caller ID. Don't have time for making holiday pies, but still want to set something before your guests that's both unique and delicious? This delectable dessert is quick and easy, and should please even the most discerning of palates. Combine pumpkin puree, sugar, pie spice, and 1 cup heavy cream (reserving the remainder for later) in a medium saucepan. Simmer over medium heat for 5 minutes. Rest until completely cool. Whip remaining heavy cream and vanilla to soft peaks, gently folding into the cooled pumpkin mixture, pour into individual serving dishes. Just before serving, crumble ginger snaps over top. Ask your doctor if there any prescription or over-the-counter medicines that you should not take before your surgery, or if you may eat or drink beforehand. If you have other questions, write them down. Take your list of questions with you when you see your doctor. A health care worker will mark the spot on your body to be operated on, usually when you are awake. If you are not awake, request a family member, friend, or other health care worker to watch the marking. Ask your surgeon to take a "time out" just before your surgery to make sure they are doing the right surgery on the right body part on the right person. 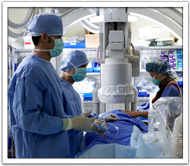 Be forthcoming to your doctor or nurse about any pain before or after surgery. Ask questions about medicines that are given to you, especially new medicines. Weak acid, such as vinegar, should never be added to bleach because it will release toxic chlorine and chloramine vapors, which can chemically burn your eyes and also your lungs. 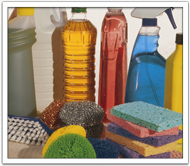 Many cleaning products contain ingredients not referred to in the brand name, so check the labels before mixing and cleaning. If ammonia is present in excess and mixed with bleach, potentially explosive liquid hydrazine may be formed. Even its vapors could lead to death. It's not well known, but different battery brands can contain different chemicals and even different voltage outputs that conflict with each other. If one battery dies, the other could continue discharging electricity and cause a leak that would damage or ruin electronics. All pharmaceuticals, whether over-the-counter or prescription, when mixed with grapefruit juice can cause increased absorption, turning a normal dose into a lethal overdose. Even in moderation--or as a morning hangover cure--alcohol and acetaminophen don't mix...the combination of chemicals could cause lethal liver damage. Nearly 200 deaths each year are attributed to this combination. 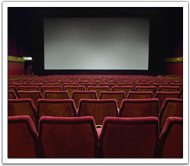 The holiday season is a time for family gatherings, eating, football and going to the movies. Below are the top 10 grossing films with Christmas Day openings. How many have you seen? 8. "The Lord of the Rings: The Return of the King"
9. "Alvin and the Chipmunks: The Squeakquel"
10. "National Treasure: Book of Secrets"
Government shutdowns don't actually save taxpayers money. The last shutdown, in 1995, cost the nation approximately $1.4 billion. "Journalism is unreadable, and literature is not read." In the aftermath of her mother's death, Cheryl's life has unraveled for four years and nothing is left. With her family set adrift, her marriage at an end, and nearly addicted to heroin at 26-years old, she makes an impulsive decision that will alter the course of her life forever: to hike the more than one thousand miles of the Pacific Crest Trail, from the Mojave Desert of California to the border between Oregon and Washington State—and she will do it all by herself, even though she's de-toxing, out of shape, and has no trail experience. With unflinching honesty, style, and unusual vulnerability, Cheryl Strayed has created a vivid memoir of her journey. Wild carries you along that journey through the eyes of a young woman who has seemingly lost everything, but still hopes to find an answer to the meaning of her life out on the trail...and does! 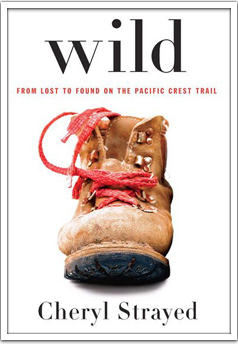 Wild is soon to be a major motion picture starring Reese Witherspoon, is part of the esteemed line-up of Oprah's Book Club selections, winner of Best Nonfiction Book from The Boston Globe and Entertainment Weekly, and was named Best Book of the Year by NPR, St. Louis Dispatch, and Vogue. It has garnered an impressive average 4-stars from reader reviews and may be purchased from Amazon.com. As always, we wish to thank our clients who have been kind enough to refer business to us. We appreciate the opportunity to provide excellent service to your family, friends, and co–workers. National Disclaimer AmeriFirst Financial, Inc., 1550 E. McKellips Road, Suite 117, Mesa, AZ 85203 (NMLS # 145368). 1-877-276-1974. Copyright 2012. All Rights Reserved. This is not an offer to enter into an agreement. Not all customers will qualify. Information, rates, and programs are subject to change without prior notice. All products are subject to credit and property approval. Not all products are available in all states or for all loan amounts. Other restrictions and limitations apply. AmeriFirst is required to disclose the following license information: Click Here for Licensing Information. © 2013 Vantage Production, LLC. All rights reserved. June 2013 Updates, Incredible Articles and Tons More!